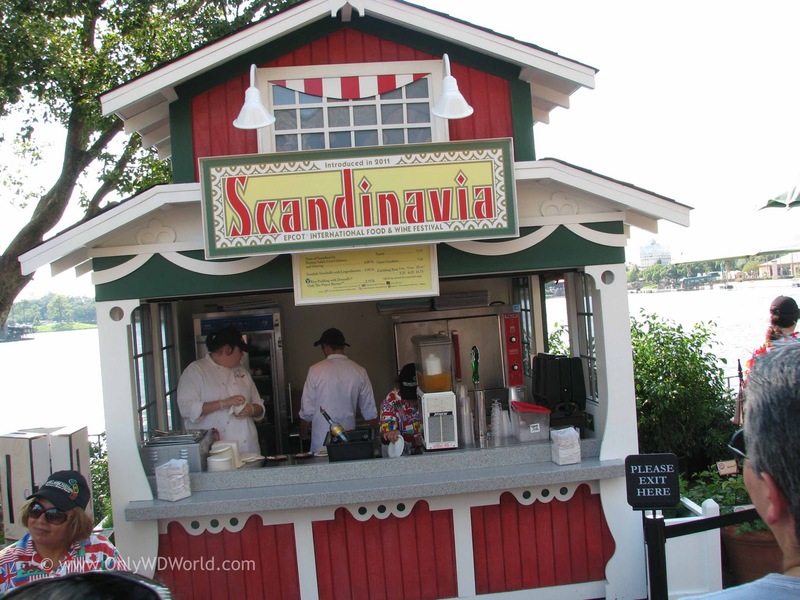 The Walt Disney World Resort celebrates each year with the Epcot International Food & Wine Festival bringing hundreds of tastes of food, wine, & beer to enjoy. The 2011 version of the Festival is currently running through November 13th and there is still time to visit. In order to help you choose what to try, Only WDWorld has been reviewing a wide variety of the tastes that are available. One of the foods that comes to mind when people think of Scandinavia and Sweden in particular are the meatballs. At the Scandinavia Marketplace kiosk we had to try the Swedish Meatballs with Lingonberries. This dish was very tasty and fared well when compared to other that we tried at the Festival. This is truly comfort food and those less adventurous food eaters will enjoy this dish. There are no exotic spices or sauces, just a good example of Swedish Meatballs. The Lingonberries which are very popular in Sweden went well with the Meatballs and added extra flavor (and color) to the dish. 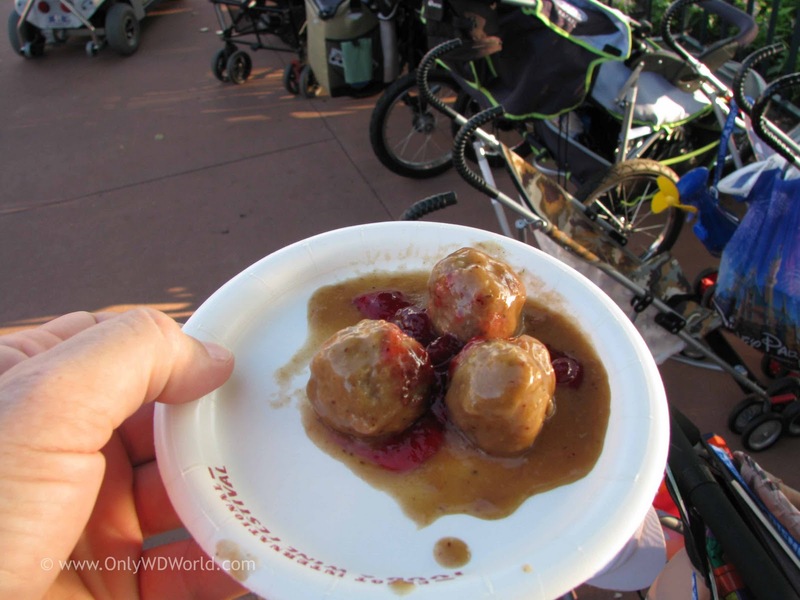 The Swedish Meatballs with Lingonberries was a great dish and worth trying when you are at the Epcot International Food & Wine Festival. Its mild flavors will suit even the less adventurous foodies out there, so plan on giving this taste a try! 0 comments to "Taste Of Epcot Food & Wine Festival: Swedish Meatballs With Lingonberries"